« Why Should I Have A Retaining Wall Built? The way the exterior of your home looks may be more important than you imagine. Think about it. When you’re driving through a neighborhood, you never give a second look to the plain homes with a simple yard and no decoration. They just don’t do much for you. Big homes with good landscaping and a clear attention to detail may cause you to do a double take, though. You may not think that that double take is important, but think about what goes through your head on that double take. This is a nice neighborhood. I could really see myself living here and raising a family. They clearly care about their home a lot. Look at all of the awesome detail and design! I wish my home looked like that. I wonder if they’re planning on selling anytime soon. . . Though these might not be conscious thoughts, they’re thoughts that most people have had when driving through a neighborhood with really nice homes. Notice all of the things that these people do with their homes to up their curb appeal. What are the common things that interest you in these homes? 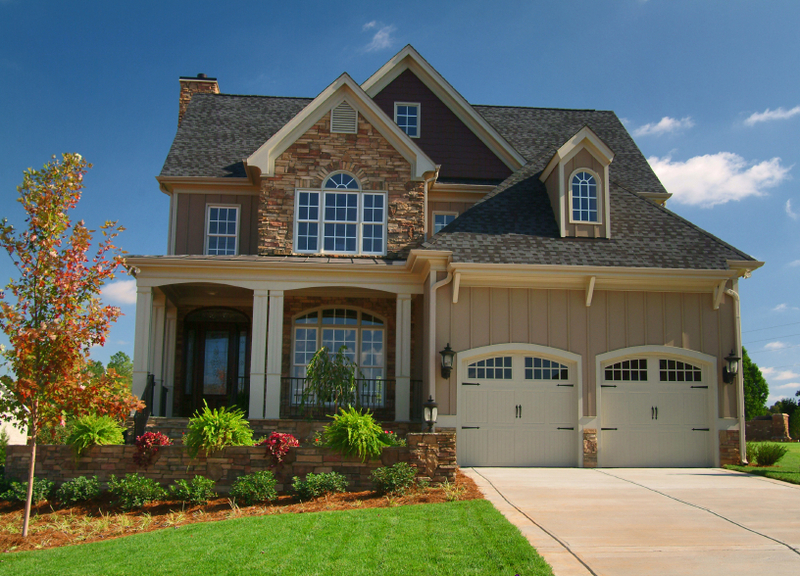 Check out some of our tips for boosting your home’s curb appeal. Hire a professional landscaper – Don’t let the initial cost deter you. Having someone to come in and help you landscape your lawn will ensure that your home has lots of curb appeal. Once the professional part is done, you can either maintain it yourself or keep the same people to take care of the maintenance for you. When you’re ready to sell, you should make a point to bring the professional landscaper back in. Add some hardscaping – Try adding a paver patio or driveway. It’ll update the look of your home and likely add some value as well. It’s a fairly inexpensive way to update your home without having to overhaul the whole thing. Your home will look well cared for and loved if potential buyers can tell that you’ve recently give your house a facelift. Pay attention to the details – This can mean adding outdoor lighting to highlight your favorite parts of your home and landscaping or even just making sure that you plant flowers that look good together in the same planter. People will almost always bring someone with a good eye for detail when they’re looking for a new home. Curb appeal will increase the value of your home and can even help you to enjoy your home more. Hiring the right landscaping company can make all the difference in your home’s curb appeal. For more information about boosting your curb appeal, give us a call at 410-768-4720 or contact us via our website today. This entry was posted on Thursday, July 3rd, 2014	at 6:56 pm	and is filed under Curb Appeal	. You can follow any responses to this entry through the RSS 2.0	feed. Both comments and pings are currently closed.